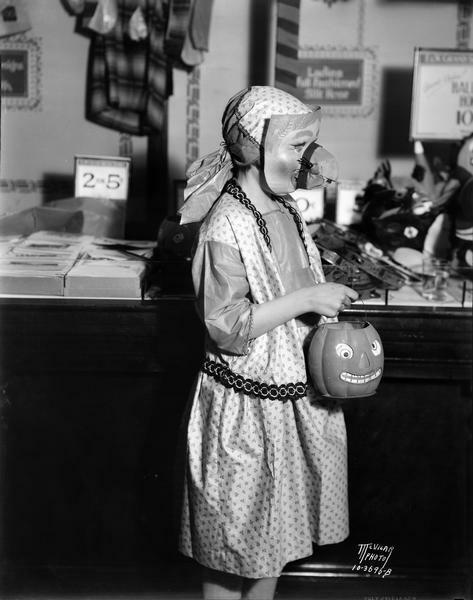 In the spirit of the season, "Vintage Wisconsin" is looking back at Halloween's past. 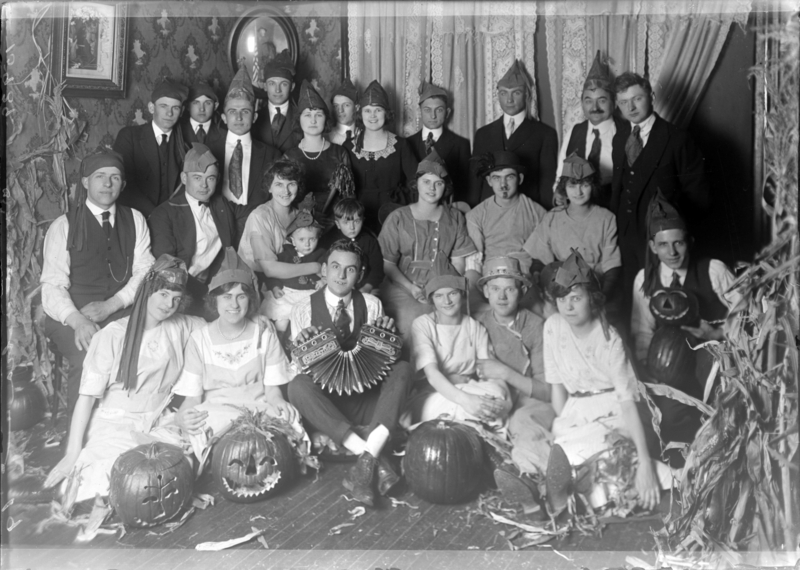 For these revelers in Milwaukee around 1920, the day is all about the hats. And the concertina. Witches have long been a popular costume choice. 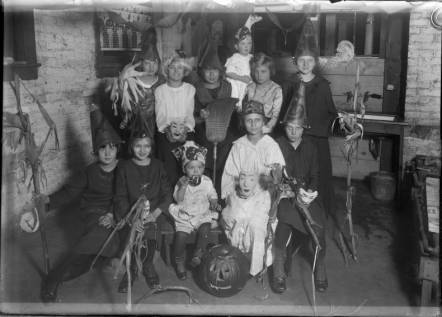 There's at least six at this 1923 Halloween party in Milwaukee. Esther Johnson's Jack-o-Lantern might be scarier than her costume. Johnson is dressed for a parade in honor of the Jimmy Durante movie, "The Phantom President," hosted by the "Capital Times" in 1932. 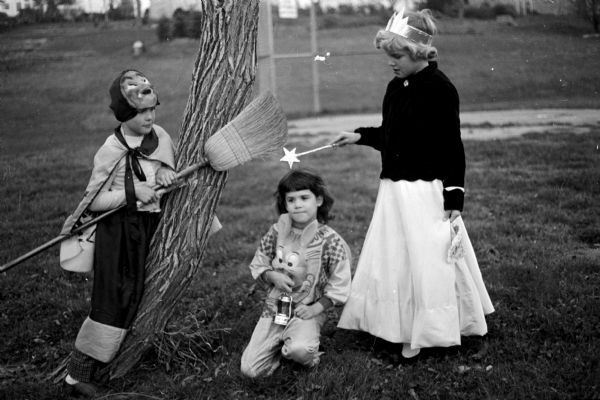 Fairy princess Patty Goggin is about to change the bunny Katherine Becker into a beautiful girl if she isn't stopped by the witch Susan Devitt during the 1959 Sunset Village Community Club Halloween Party in Madison. 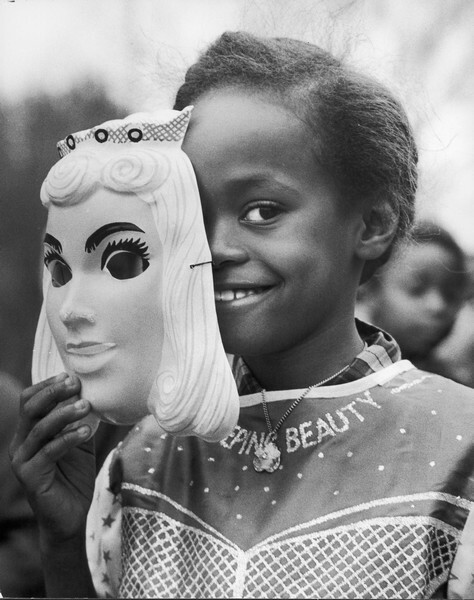 Sleeping Beauty peeks out from behind her mask in 1959. 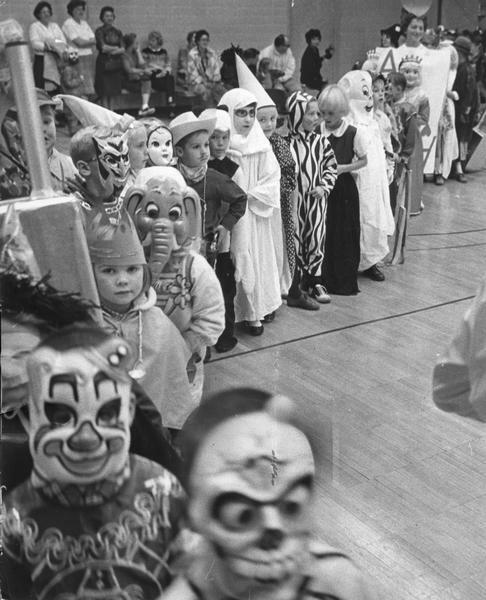 The ever popular Halloween parade at a Milwaukee elementary school in 1963.
Who doesn't want to be an astronaut? 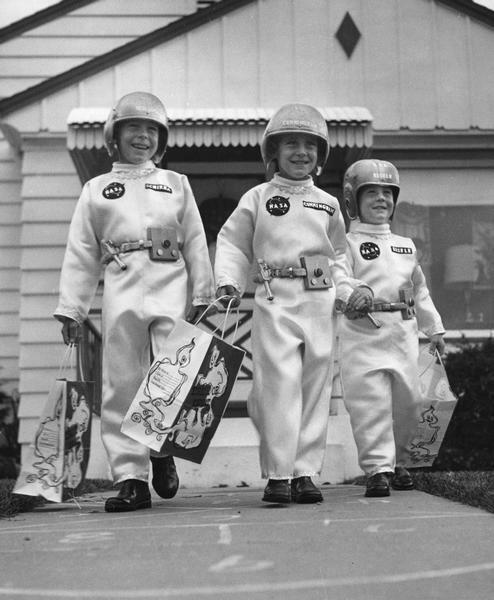 These three Milwaukee kids collect some candy before lift off in 1968.